Excellent care begins with an excellent team, which is why we’re excited to bring great graduate nurses (GNs) on board to UPMC to advance in their careers and become the best at what they do! 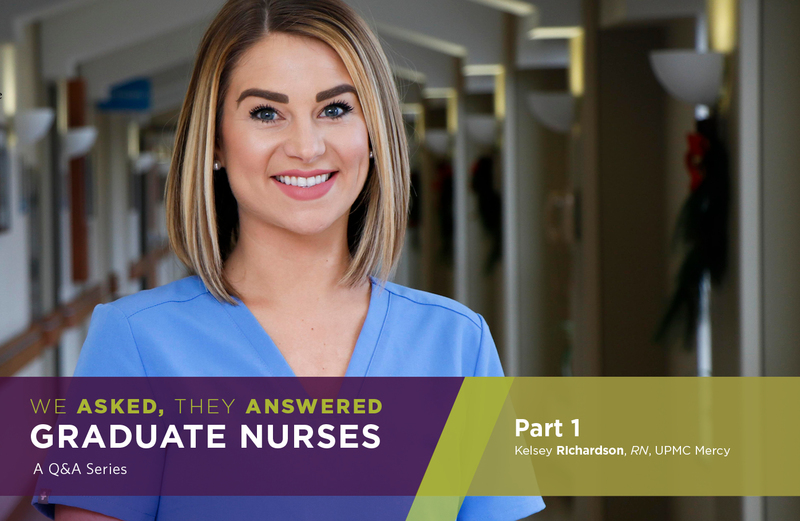 We asked a few new graduate nurses to share their stories of how they got to UPMC, and what they’re looking forward to as they begin their nursing career. First up: Kelsy Richardson, a nurse at UPMC Mercy! Let’s start at the beginning. Why did you decide to become a nurse? 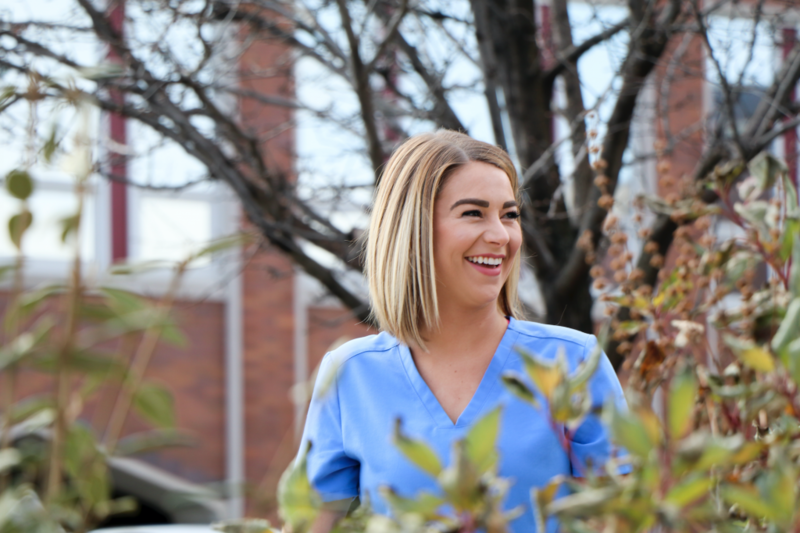 Kelsy: I have always had a strong passion and desire to help others and nursing has allowed me to combine my knowledge and skills with my passion for serving. The field of nursing is so appealing because of the numerous opportunities to grow in your career. How did you become a nurse, and where were you before you came to UPMC? Kelsy: I have always wanted a career that allows me to follow my passion for helping others but wasn’t sure which career path to follow. I originally went to college and graduated with a bachelor’s degree in social work, but I felt a pull towards nursing. About a year after graduating with my social work degree, I enrolled in an associates nursing program. While I was a student, I had the opportunity of a nurse externship in a Trauma-Neuro Intensive Care Unit, which developed my strong interest in the Neuro-Trauma population. When I was offered a position at UPMC Mercy’s Neuro Trauma unit, I knew it was an opportunity I could not pass up. How did you find out about UPMC and what inspired you to apply? Kelsy: While finishing my last semester in nursing school I felt the urge to move and start somewhere new. I chose Pittsburgh because I had fallen in love with the city, and chose to apply to UPMC because of its well-known reputation. I had the opportunity to attend an interview event. At that event, I interviewed for four different positions. The last unit I interviewed for was a position on a Neuro-Trauma unit which seemed like the perfect fit for me. What was your transition to UPMC like? Kelsy: Transitioning from a student to the role of a nurse was more difficult than expected, but thankfully I had amazing coworkers who helped and guided me through the transition. What do you like best about your job at UPMC? Kelsy: One of my favorite parts of the job is forming relationships with my patients and families. Patients are often at one of their most vulnerable times in their life and I am grateful to be able to provide comfort for those suffering and serve as an advocate for my patients in need. Kelsy: I am currently obtaining my bachelor’s degree in nursing. I plan to continue to work with the Neuro-Trauma population and could foresee myself in an intensive care setting. I have also considered eventually perusing a master’s degree and becoming a nurse practitioner. That is one of the advantages of the field of nursing it offers so many opportunities. Are there any stories that stick out to you from your experience so far here at UPMC? Kelsy: Working in Neuro there is never a dull moment and every patient, and every day is different. Neuro has allowed me to develop a difficult set of assessment skills, and it can be very demanding but also rewarding specialty. What do you want a graduate nurse to know about UPMC? 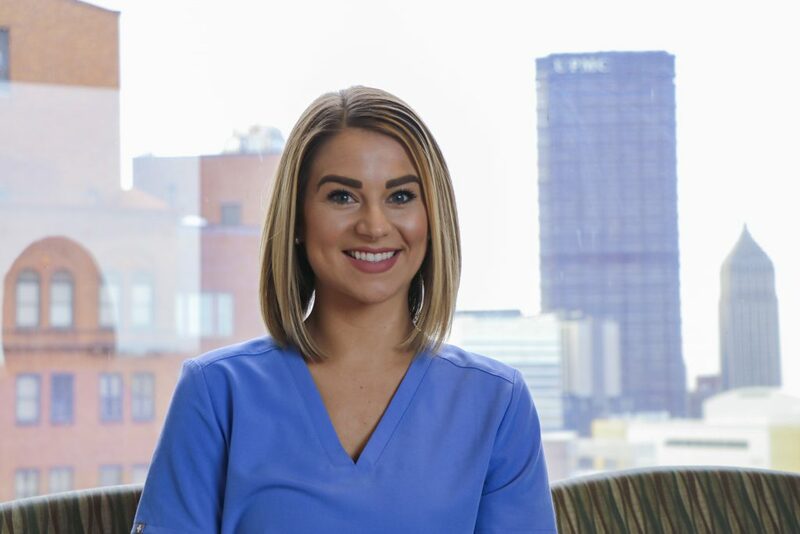 Kelsy: This job allows you to grow as a nurse and offers a window to many opportunities within the UPMC network as well as provides you with opportunities to advance your education. What’s it like to live and work in Pittsburgh? Kelsy: Moving to a new city and starting a new job was challenging but I have lived in Pittsburgh for almost a year now, and thoroughly enjoy my life here. Through work and networking I have been able to meet some incredible people and establish wonderful friendships. The city has so much to offer and I foresee myself living here long into the future! Feeling inspired to become a nurse at UPMC? Learn more about the opportunity for GNs to earn up to a $5,000 sign-on bonus with eligible full-time and part-time nursing positions with UPMC.